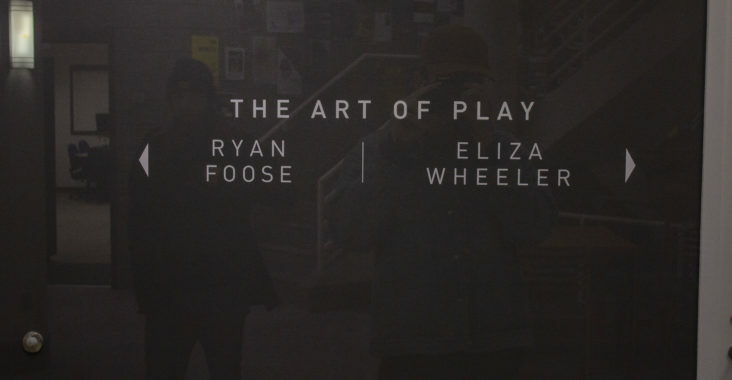 The work of University of Wisconsin-Stout alumni Ryan Foose and Eliza Wheeler is currently on display in Furlong Gallery leading up to Art & Design Week. Both artists are scheduled to talk on campus about their experiences and advise students on finding their own way. Wheeler is a 2006 graduate of Stout’s graphic design program who has been working as a full-time illustrator and author since 2013. 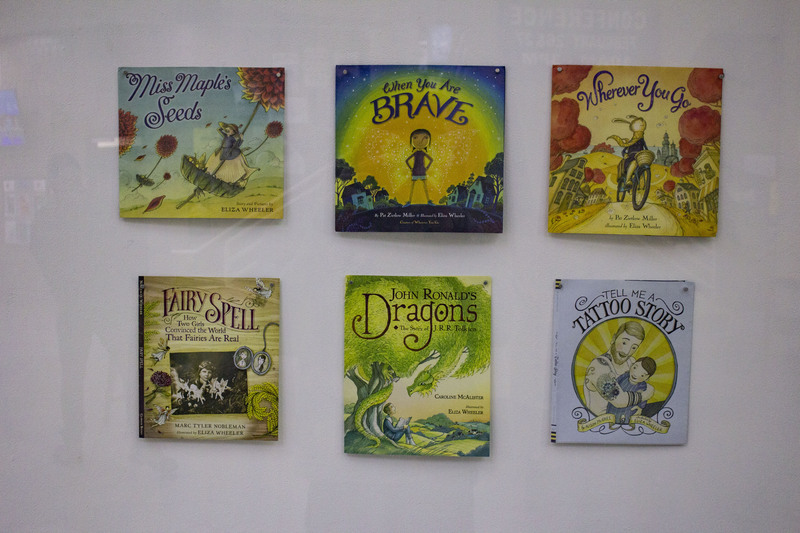 Her original artworks and illustrations for various picture books and middle grade novels are currently featured in the gallery alongside a sneak peak of her current project, Illustrations for “When You Are Brave” by Pat Zietlow-Miller. Foose graduated in 2011 with a double major in graphic design and industrial design before earning his master’s in graphic design at North Carolina State University. “Stout has been producing good artists for decades. They finally planted a flag. I feel really proud to know the school itself has taken a step forward. They finally got that designation as an art and design school,” Foose said. Foose says he found success by being in the right place at the right time. “One of the hats was sold to the VPO of marketing at Minor League Baseball. I was a local that was all about pushing sports with a user experience,” Foose said. Foose has worked with IBM as a user-experience designer and established his own design company, Fooser Sports Design, in 2013. His designs are worn by teams all around the country. “You have a very awesome opportunity to creates something new every day. Some projects are fun, some are tooth and nail and some will be something nobody has seen before.” Foose said. 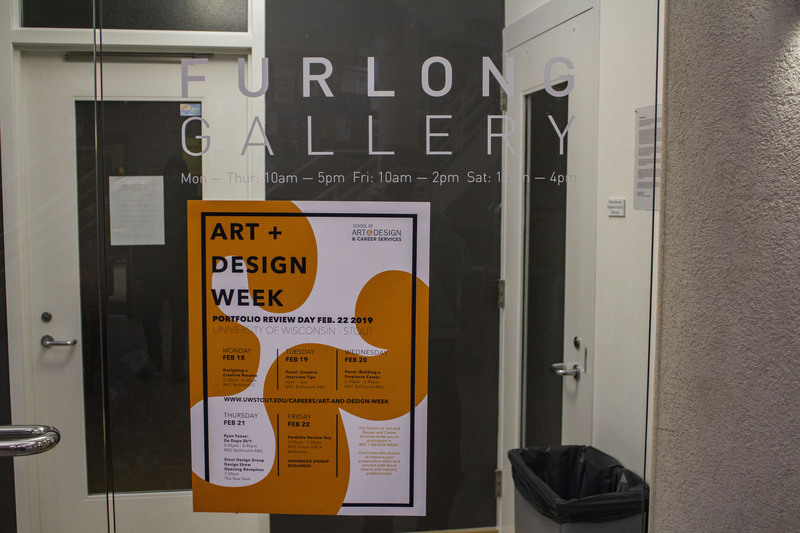 He will host his lecture on Feb. 21 in Ballrooms B and C in the Memorial Student Center as a part of Art & Design Week.